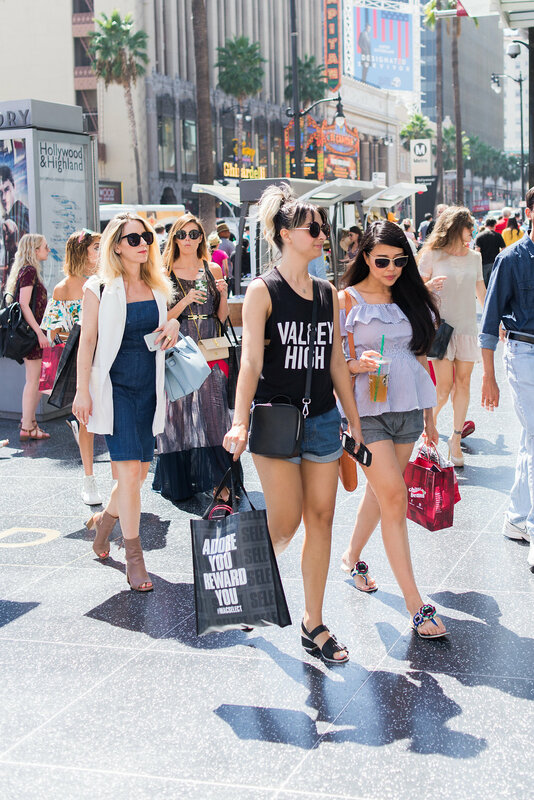 Impending motherhood and a day of glam and grub at Hollywood & Highland has inspired me to start a new section on the blog that's dedicated to treating yourself to everything fabulous! Even though I'm only at the very tip of motherhood, pregnancy has been a transformative journey and has really opened my eyes to all the under the radar sacrifices mothers make on an instinctive level. Since I've been pregnant, I've been bonding with other mothers as we all share this collective story that unites us in empathy and solidarity. Too often, I see mothers placing their kids, their family, their careers you name it, before themselves. So I want to start a "Treat Yourself" story section on my blog that will hopefully inspire mothers, women, and anyone who selflessly live for others to take some time to indulge, enjoy, and appreciate...YOU. 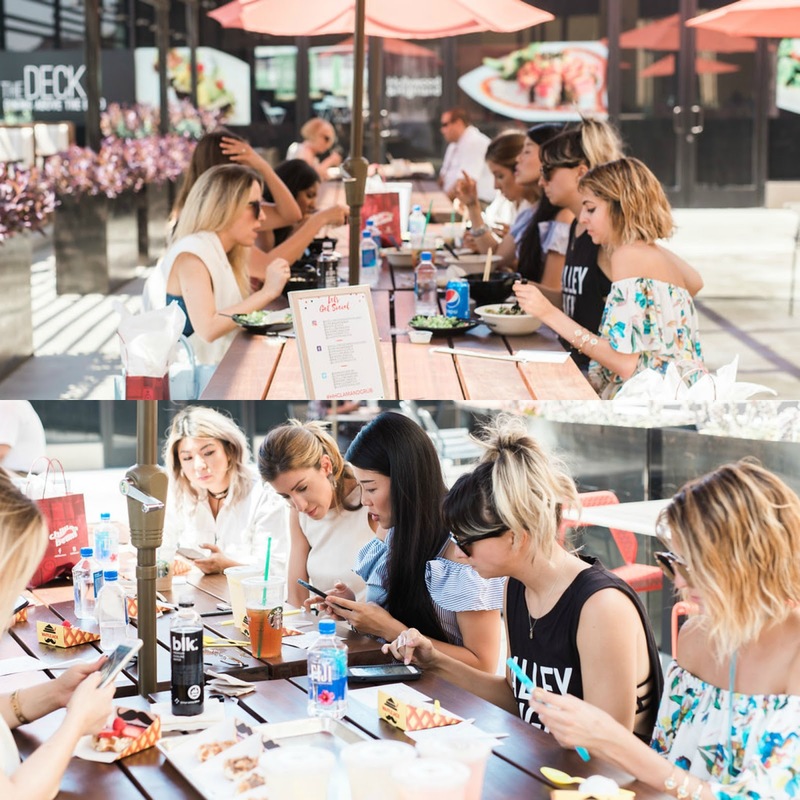 To kick off the inaugural Treat Yourself story, I partnered with Hollywood & Highland to throw a glam and grub outing for some of my blogger pals. Our day included lunch on the dining deck, an airy space filled with foodie favs like Jinya Ramen Expressand Wafflejack (I'm dubbing waffles the new donut!). 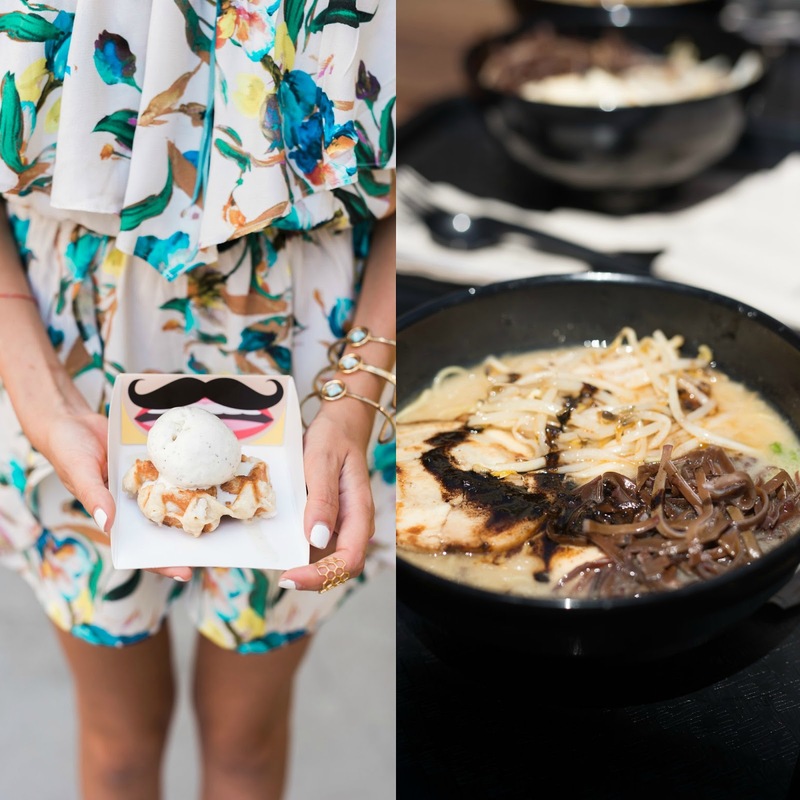 To walk off the ramen and nutella covered waffle, we walked over to Chilli Beans, the top Brazilian sunglass boutique that carries limited edition sunnies in the chicest styles and colors. 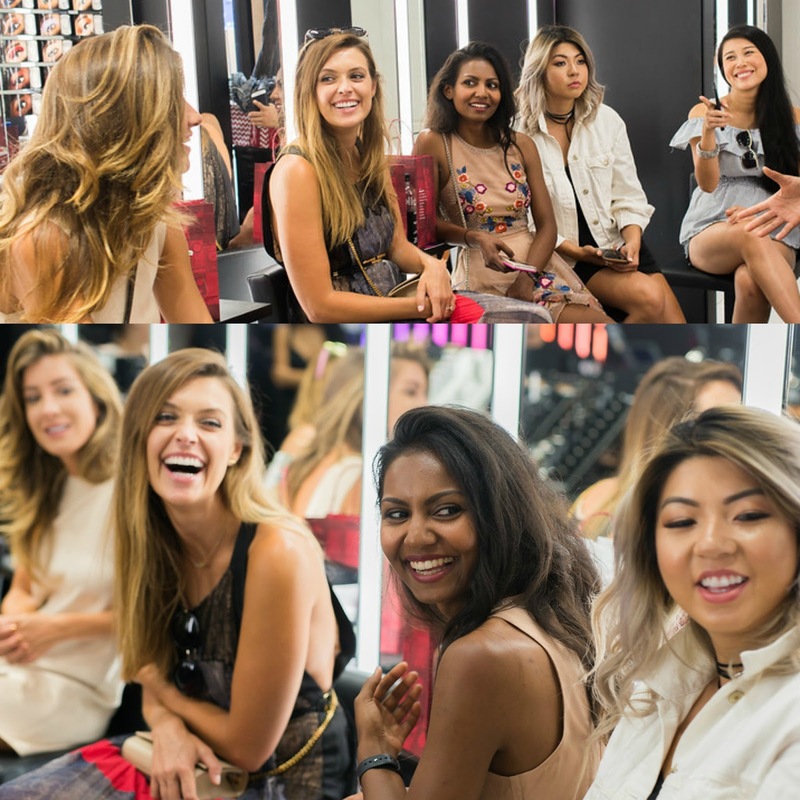 After picking out our favorite frames, we walked over to MAC for an in-store beauty demonstration on how to perfect the dewy skin for fall. During the sesh, all of us were busy jotting down mental notes and pinky swearing each other to spend no less than fifteen minutes massaging our skin and lathering on serums and moisturizers on the daily. The store has a fabulous area for beauty touch-ups and I definitely will be going back for more tips! We ended our day at Lucky Strike Live with cheese fries, cocktails, and a round of bowling. It's been years since I've bowled and definitely felt the tightened hamstrings the next day. But it was worth it because our team won! The day passed by so fast and I feel like we only got to experience a small fraction of what H&H offers. I've already set up an itinerary for my next visit-a fall makeover at Kiko Milano, afternoon tea at Chado tea room, and movies at TLC Theatres. 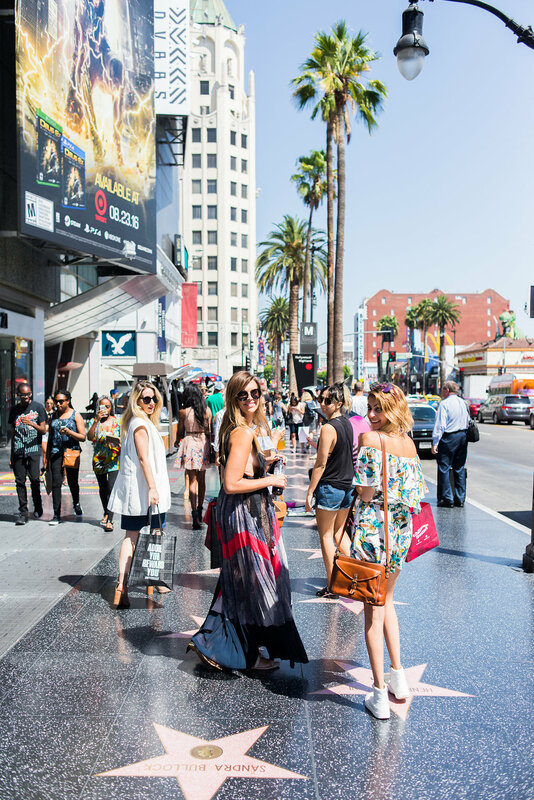 When I was in college, I obsessively hung out in and around Hollywood & Highland. I had birthday parties at Travestere (best salmon pizza! 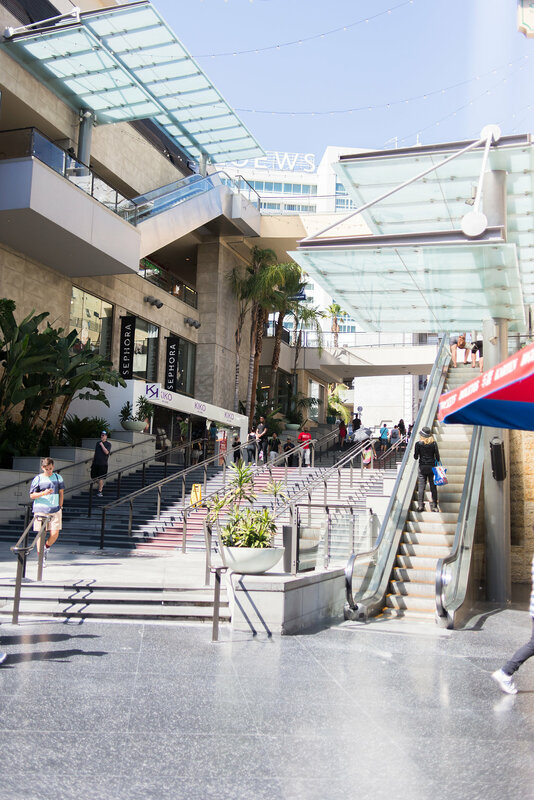 ), watched movies at Graumann's, and spent more than a few Friday nights watching street performer hustle and flow on Hollywood Blvd. To me, the famous intersection wasn't just a stop on the Star Tours bus, it represented an escape from the city and a moment to feel like I was a visitor enjoying LA from the other side. And I think that's why we all had so much fun as it's rare to be able to escape from the city while standing right in the thick of it.